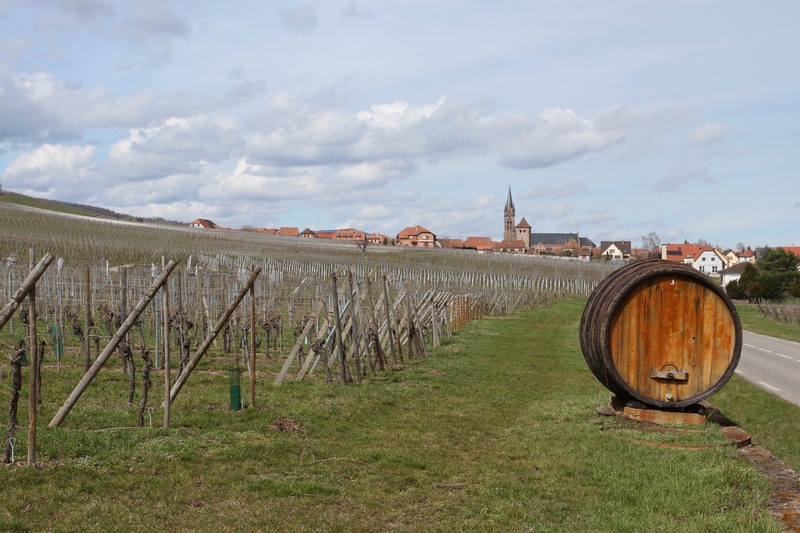 There are some familiar wine names in this peculiarly German region of France – Pinot Blanc, Riesling, Pinot Noir – but there are some wines I’d never heard of before taking the winding roads through this fantastically beautiful region. 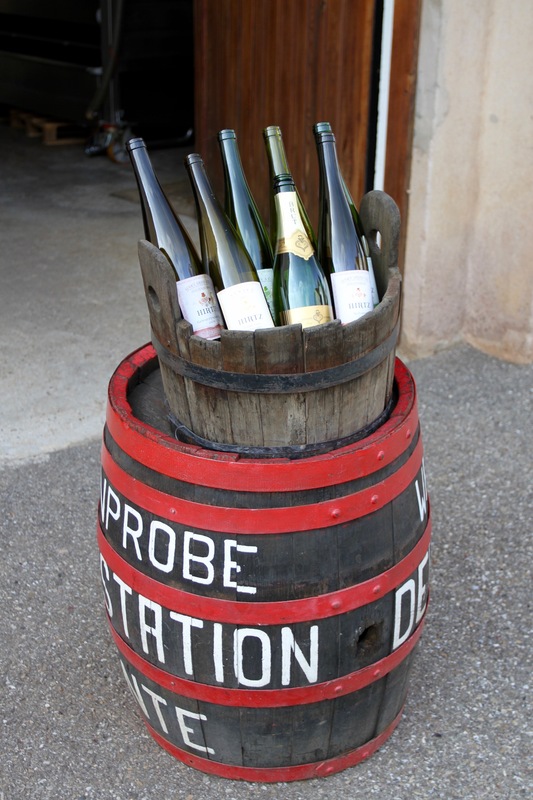 Sylvaner, Auxerrois and the virtually unpronounceable Gewürztraminer, to name only a few. 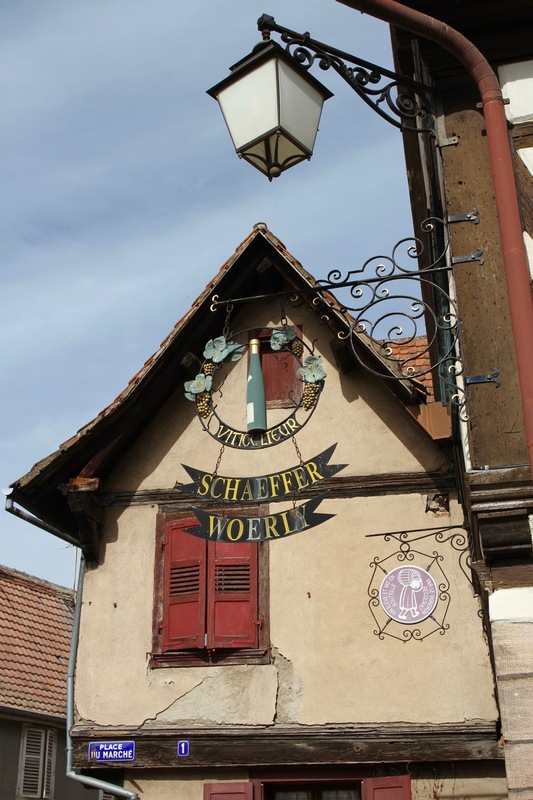 This unfamiliarity adds to the allure of a journey through the villages and vineyards of Alsace, and seems to complement the complicated cultural and historical backdrop of the region. 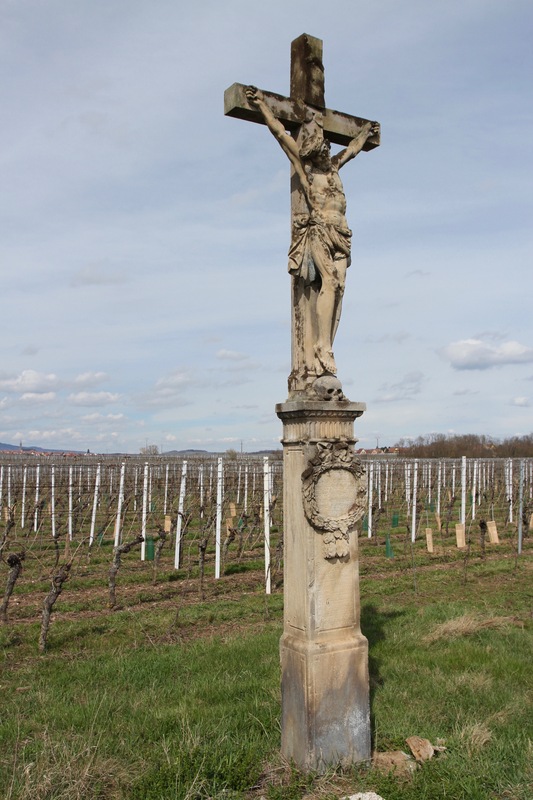 This was one of France’s first wine routes, and is one of the most celebrated. 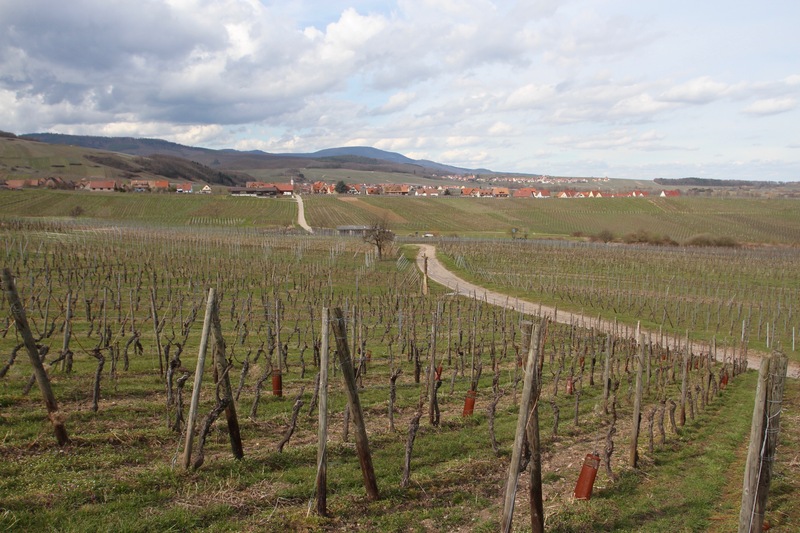 The route is 65-years old this year but some of the vineyards and winemakers have been around for centuries. 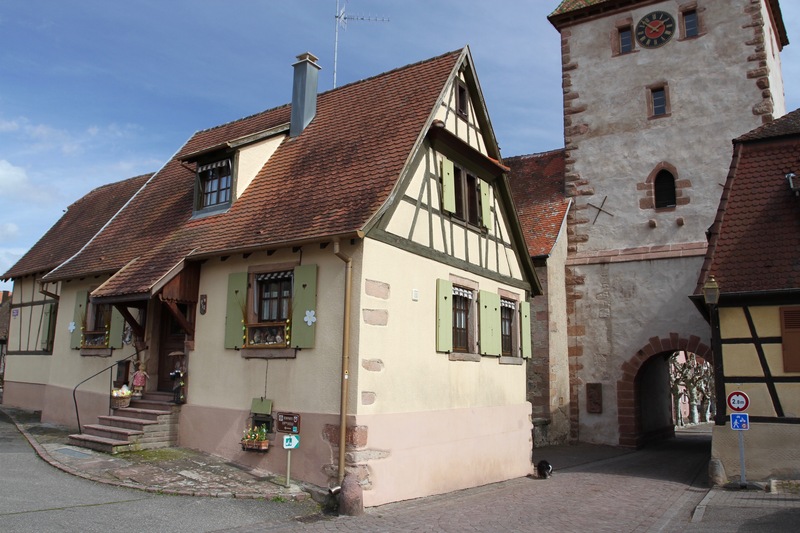 At 172km in length we didn’t have time to do the whole route, or to visit more than a handful of the ridiculously picturesque villages that are liberally scattered around Alsace’s rolling hills. The main villages, while attractive, also attract coach loads of day trippers, and can be a bit of a mixed experience, but you don’t have to go too far off the main tourist trail to find more tranquil spots. We started our day in Obernai and, after the previous day’s rain, were glad that the sun was back in the sky. 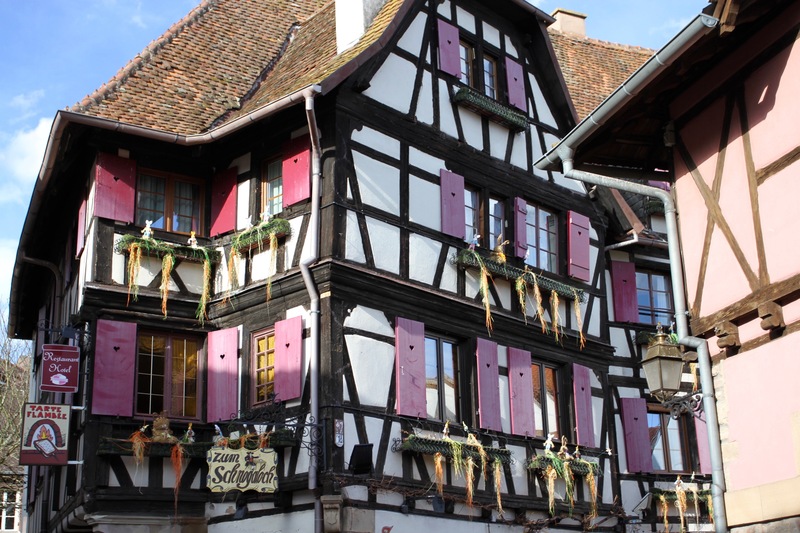 Our destination was the town of Colmar in the south of the region, famed for both its wealth of historic buildings and its ‘Petite Venice’ canal district – an overstatement for sure, but it’s still a pretty part of the town. In between, we spent several hours meandering around the countryside and sampling a wine or two. 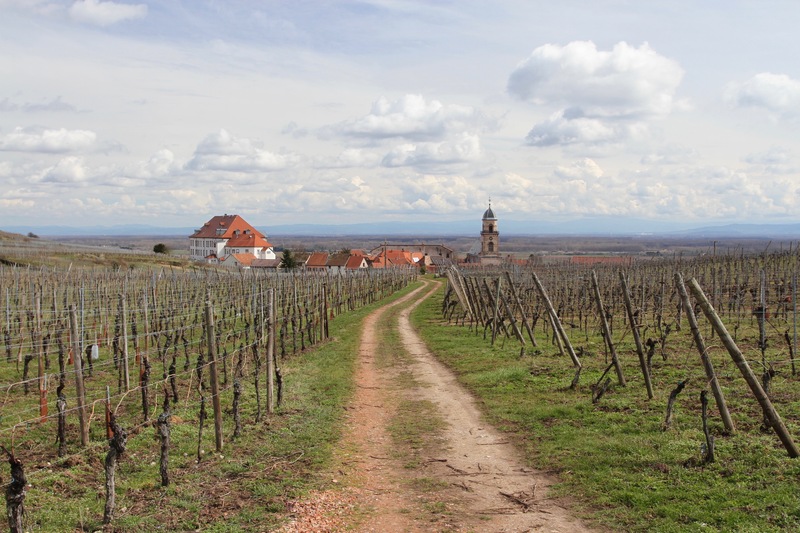 It was a glorious journey along narrow roads with vineyards nestling up against villages of half-timbered houses. 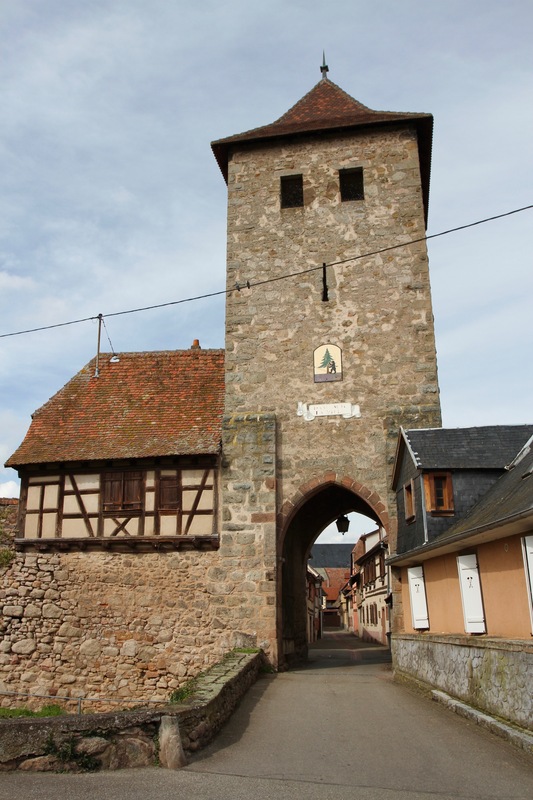 This is a part of France where many of the villages have Germanic names – Kintzheim, Kayserberg, Mittelbergheim, Bergheim – thanks to a convoluted and frequently violent history between the two countries. German names extend to food, as we discovered over a lunchtime flammküchen, better known as a tartes flambée in the rest of France. Giant pretzels were on sale in almost every village we visited. 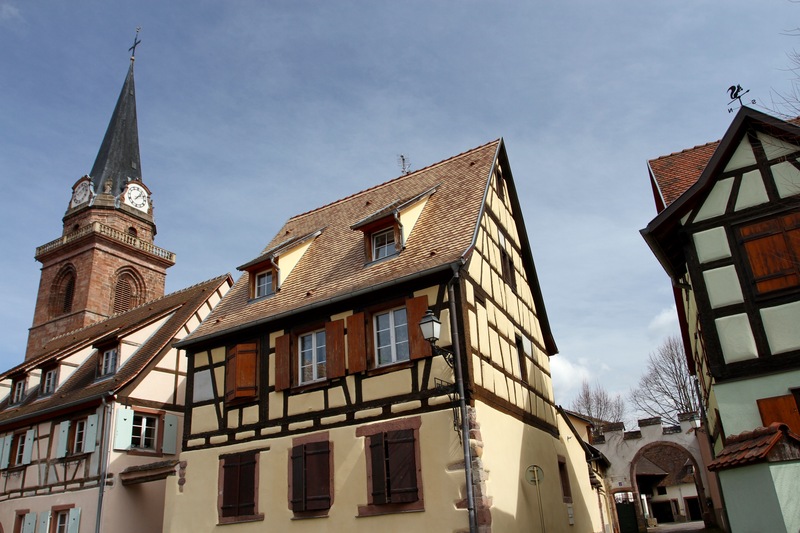 Alsace’s split personality makes it a disorienting place to visit. Honestly, I wouldn’t have been surprised to have bumped into Hansel and Gretel. 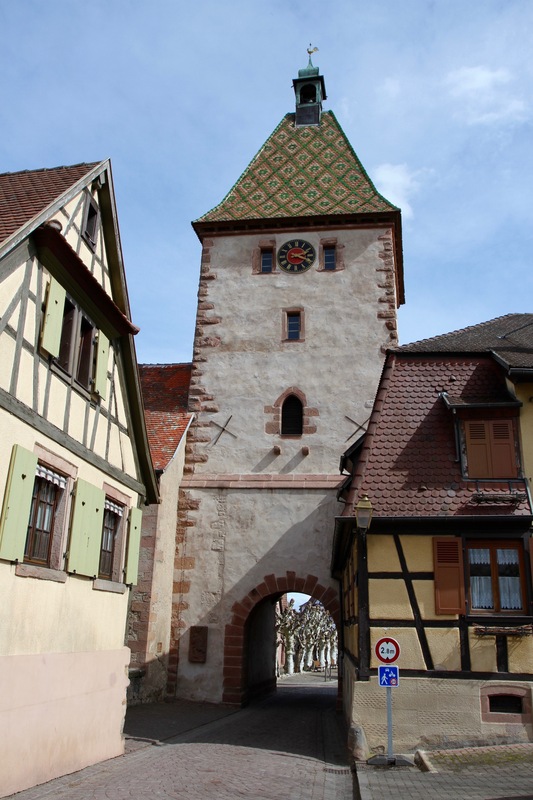 We stopped in Kintzheim, Bergheim, Ribeauvillé, Dambach-la-Ville and Riquewihr to explore the streets and alleyways. The villages started to blur into one by the time we finally reached Colmar later that same day. I’m sure they all have their own personality, but in the end we could barely distinguish one village from another, so alike are they architecturally. It was Easter which meant residents could give full artistic licence to a truly alarming tendency to decorate buildings with stuffed toys, wooded hearts, stork effigies, eggs and a myriad of other decorations. Some might say it’s a bit kitsch. 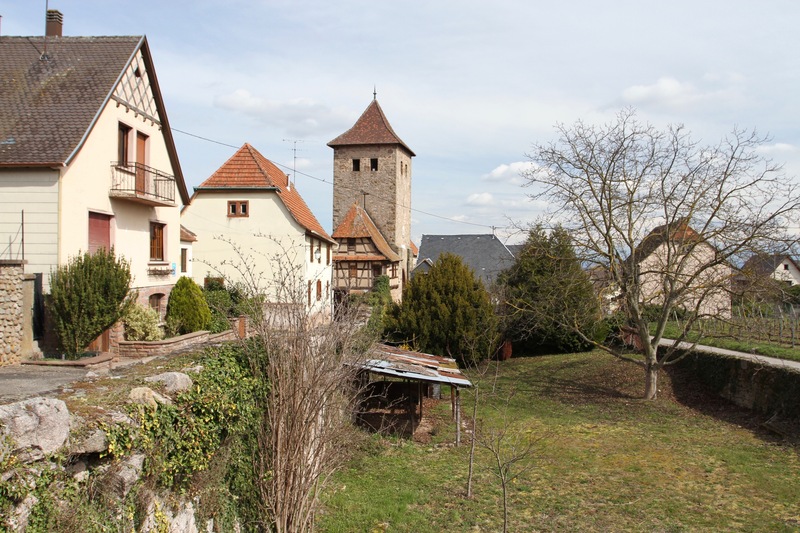 There is no doubt that this is a beautiful part of France, and the quaint villages add an extra dimension to the region. I wish we’d had a little more time to allow us spend a night or two in some of the smaller villages and get a real flavour of life, and to sample wines from some of the more than one thousand producers that operate out of these tiny places. 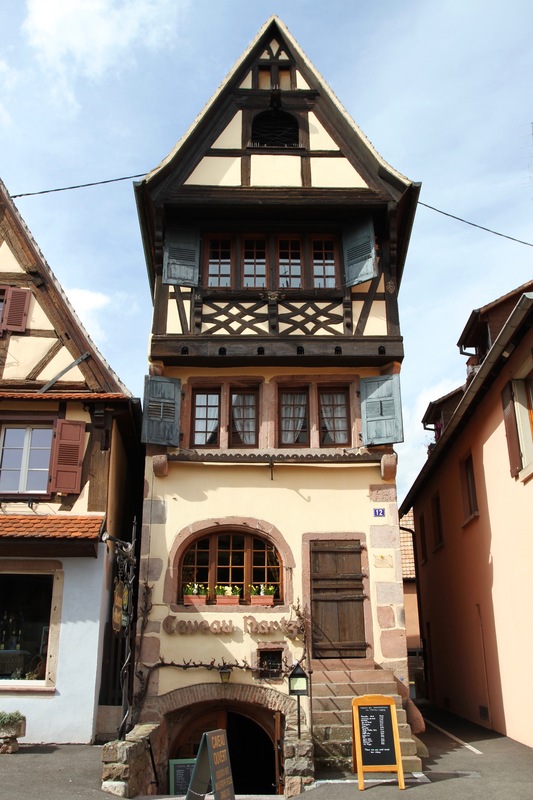 I’ve heard Strasbourg is a place that deserves a visit, and it’s only a short distance to the vineyards. I’m thinking autumn when the grape harvest is in full swing and the villages host harvest festivals! 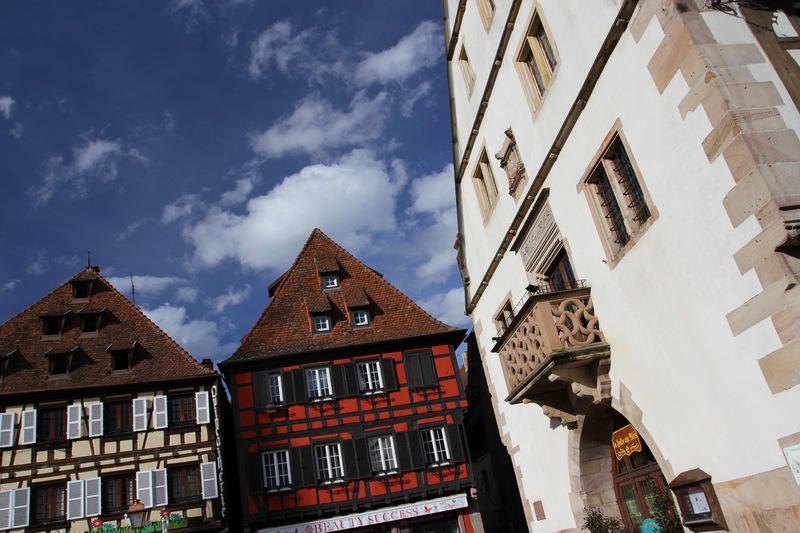 Something very strange happens when you make the journey from Nancy, through the rolling hills of the Vosges national park, and into the glorious Alsace wine region. To all intents and purposes, you leave French France behind and enter German France. This is perhaps the most disorienting place I’ve ever visited in France. On a holiday weekend when lots of visitors from Germany and Switzerland are in the region, you could be forgiven for thinking you were actually in Germany. The architecture, food, village names, wines and even the landscape all feel ‘not quite French’, and with good reason. Over the centuries, this region has had a very unhappy history exchanging hands between these two European powers. The area was largely under Germanic influence until the 17th century. 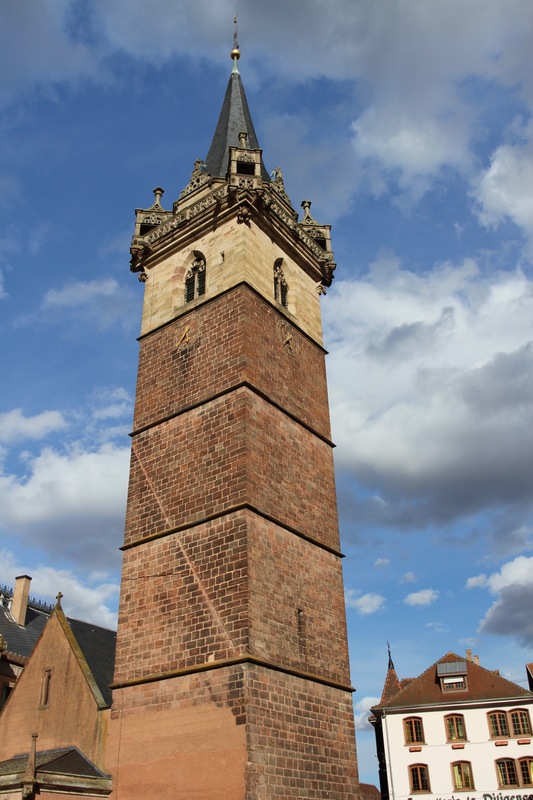 France only came to control Alsace during the reign of Louis XIV in 1681. 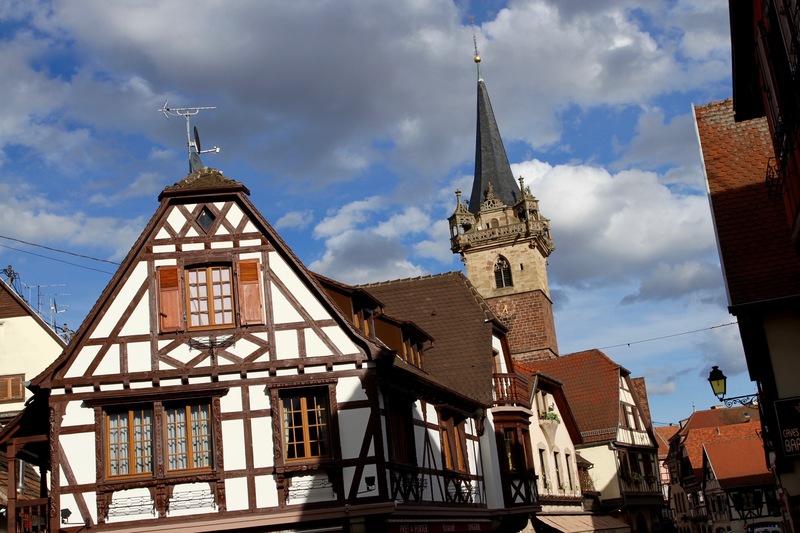 For the next two centuries Alsace was a model French province, then came the Franco-Prussian War of 1870. The war, ironically started by France, didn’t last long and resulted in a resounding and humiliating defeat for French forces. The French Emperor, Napoleon III, was captured and a French army of 140,000 men surrendered at Metz. Paris, under siege for four months, surrendered in January 1871. The new German Empire extracted a terrible price, the annexation of Alsace and half of Lorraine. Almost as bad, King William I of Prussia was crowned German Emperor in Versailles. The loss of Alsace-Lorraine would be a major driver towards war in 1914, and defeat of Germany in the First World War saw Alsace returned to France in 1919. By which time 75% of the population spoke and read German as a first language – German and French are still taught in schools. Alsatian, a German dialect, is considered the main language of the region. It briefly, and brutally, returned to German control in the Second World War, when the Nazi’s outlawed the French language and conscripted 130,000 men into the German army. 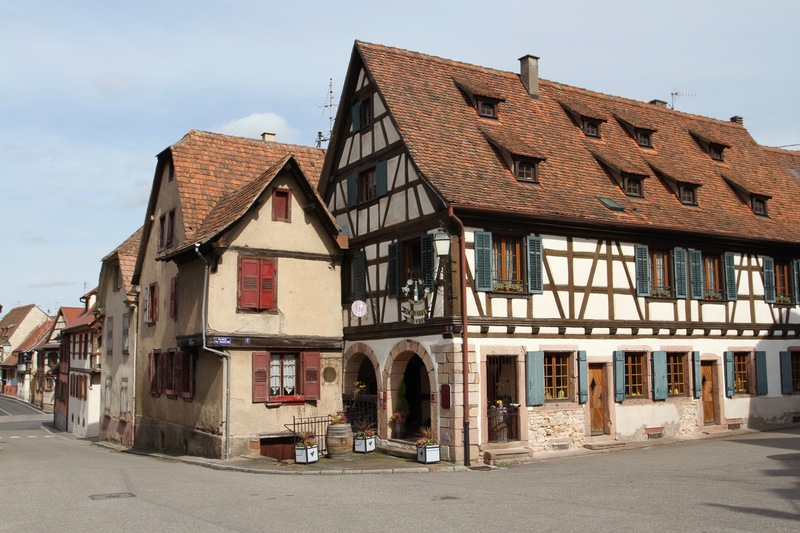 Today the picturesque towns, and picture-postcard perfect villages, of Alsace dotted amongst rolling vineyards and nestled amongst hills and forests, give little sense of that violent history. 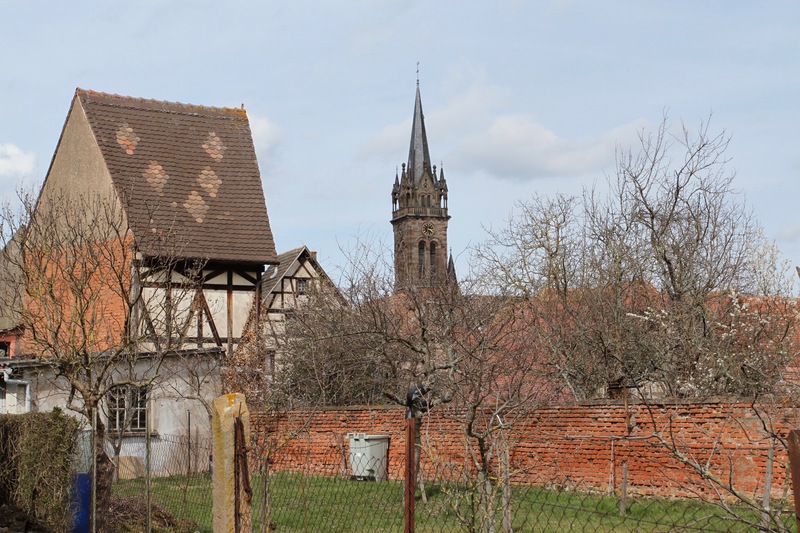 This is a serene place, even over the Easter weekend when coach loads of Italian tourists join the many Germans and Swiss, who come here to spend a few days sampling famous Alsace wines. Even in early spring when the vines are no more than brown stumps in the ground, this is glorious countryside. We arrived from Nancy taking the 7km-long Tunnel de Sainte-Marie-aux-Mines, which was originally burrowed through the heart of the mountain as a rail tunnel in 1937. It costs €6 to drive through the tunnel, but it’s quite an exciting thing to do. We arrived on the other side of the mountains and headed up through the wooded hills past the imposing Château du Haut-Kœnigsbourg, the medieval castle that was ruined before being rebuilt in 1908 by German Emperor, Wilhelm II, during the German occupation. Coming down the other side we picked up the Alsace Wine Route trail at the village of Saint-Hippolyte, before wandering through the lovely streets of Kintzheim, streets lined with half-timbered houses. 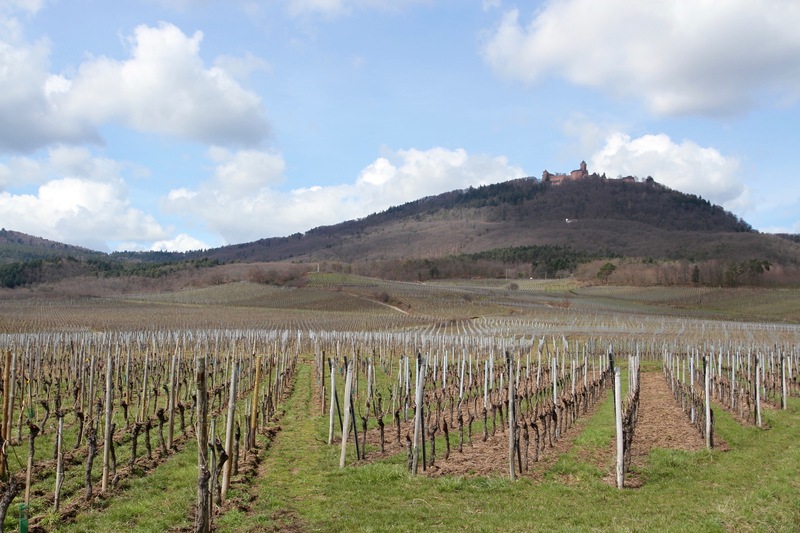 The village is surrounded by vineyards and backed by a ruined 12th century castle. 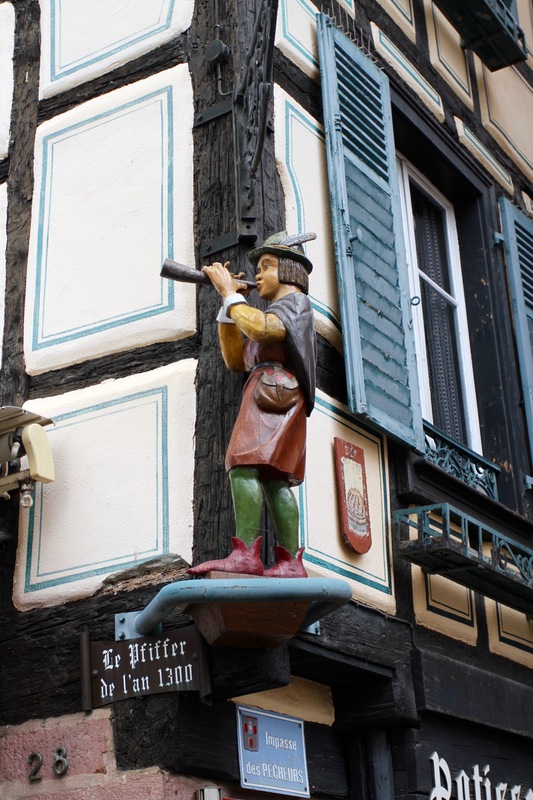 We were headed to Obernai, an attractive medieval town that is also large enough to have a decent selection of restaurants and nightlife, but first stopped off in a couple of other small villages to explore their narrow lanes and admire the ‘gingerbread houses’. We arrived in Obernai just as the weather turned from sun to rain, and walked through one of the town’s medieval gates to find our apartment. The town was busy despite the drizzle, but quickly cleared out as nightfall fell. A friend had recommended a traditional Alsace restaurant to us, so we booked a table before finding a cosy bar to sample some of the local wines. These were too sweet and too flowery for my tastes, and only served to emphasise the difference between this region and others we’d visited in France.